Check out the new custom eCommerce site built for Notlim Technologies. Notlim located in Germantown, MD provides golfers a unique way to protect their golf club investments with custom labels. 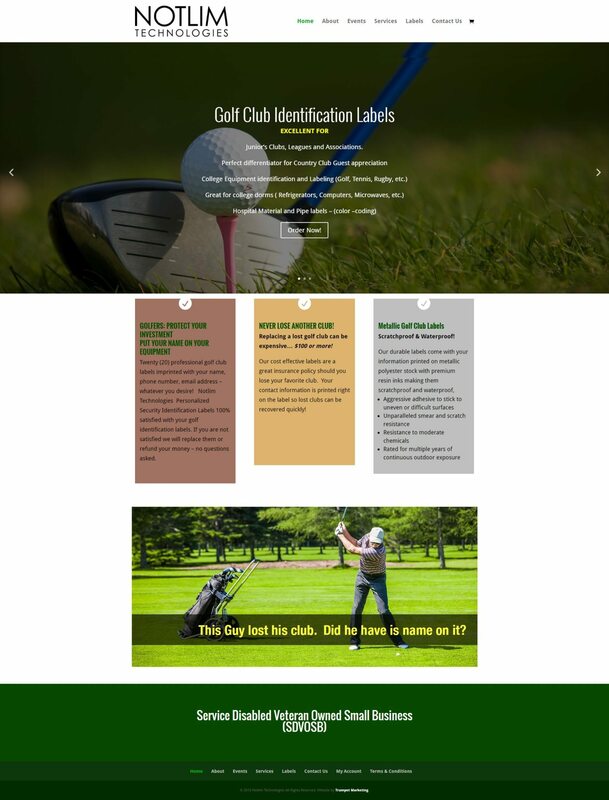 Design and customize personal labels for your golf clubs online and never lose another club. Trumpet Marketing designed and created this clean easy to use WordPress eCommerce site using a responsive clean easy to navigate layout.